There are several improvements that offer a high return on investment (ROI) for homeowners looking to sell. Per the 2017 Cost vs. Value Report, some investments are still worthwhile, while there are others you might reconsider. Keep reading to learn about five cheap home improvements that are worth the investment. A new entry door is a cost-effective improvement that will offer substantial returns during a sale. To get the most from your investment, look for a steel entry door. Steel doors have the most safety features and highest ROI of all entry door options. Adding Insulation isn’t a flashy renovation, but it will improve the value of your home. In fact, due to low installation costs, many homeowners get a 100 percent return on their investment. You’ll also be saving money while you’re in your home since you won’t have to use the heat or air conditioning quite as much. Old garage doors, even if they’re hidden from street view, don’t do much for a home’s visual appeal. They also create an ideal entry point for intruders. 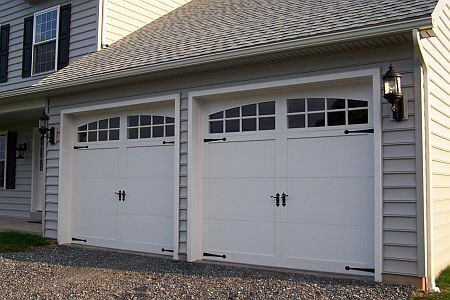 Updating your garage door isn’t particularly costly. In fact, most installations recoup 75 percent of the cost. Replacing your siding will improve the look of your home and prevent any water- or weather-related damage. Siding updates also boast a high ROI. Many homeowners get a return of more than 80 percent on their investments. Upgrading the dated features in your kitchen is a great way to bring extra value to your home. Flooring, countertop and fixture updates provide a reasonable ROI. Adding treatments to your kitchen windows is another way to modernize the look of your home without breaking the bank. 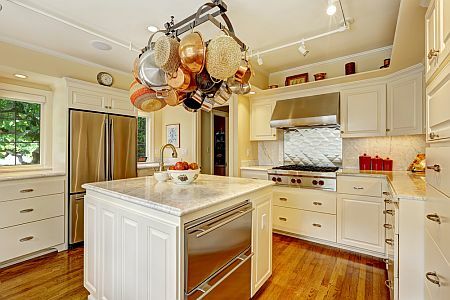 Always avoid over investing in your kitchen. Embarking on a $40,000 remodel could price you out of your neighborhood and hurt your chances of selling. Improving your home can be a little scary. But with the right planning, you can improve the looks and functionality of your home without overspending. Smart investments also mean you’ll see a greater return when you decide to sell.